Town rack up ninth away win on the bounce. Town were still without the absent Adam Creaney and the injured Jordan Orosz and Bleu McNeil. McNeil returned to training but the knee problems reoccurred and he now needs a private MRI scan. A collection will be made at the forthcoming Rothwell Corinthians match to help fund the £295 required. Tom McGowan returned from injury. Improvements to the floodlights meant a scaffolding was in place around one of the lights and this seriously affected under the light in front of the dugout. The pitch was also in a poor condition and had not been maintained in recent times and certainly since the home match at the weekend. The pitch almost gifted Town the lead when a back pass after just 18 seconds was held up on the surface and Luke Emery was in. He rounded the keeper but a defender scrambled back onto the line to somehow block Emery’s shot for a corner. It was a spirited start from the hosts as they set about the league leaders. Luke Emery appeared to be brought down in the box but the assistant flagged for a corner which ultimately was cleared. 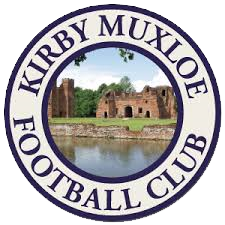 Kirby Muxloe almost took the lead on 20 minutes when a free kick from the halfway line was headed against the post and fortunately for Town ran along the front of the goal and was cleared by Rico Alexander. Almost immediately Town had a chance as Taylor Orosz broke through the Kirby back line but the ball bobbled just as the pacey striker pulled the trigger and went over the bar. 20 minutes in and Town had another half chance. Taylor Orosz chipped a free kick into the box. The keeper came and took everything bar the ball which broke to Dean Lukeman but his header was blocked for another corner. On 35 minutes, Dean Lukeman with a shot that’s blocked then Phil Cassidy had a shot that’s brilliantly turned over the bar by Ash Marsden. Whilst Town had created more chances in the half the home side didn’t look like a side which had conceded seven goals at home to Sleaford Town just 4 days before. Town settled quickly in the second half and took the lead after just 3 minutes. Taylor Orosz with a cross which TOM McGOWAN met perfectly at the near post to stab home. Just 4 minutes later and it was two. Dan Childs with an excellent cross that Adam Confue heads and the big keeper made another excellent stop. The ball then strikes the crossbar before falling to DEAM LUKEMAN who smashes the ball into the top corner of the net. Taylor Orosz then ran at the defence at pace cutting in from the left side and hurdling a defender’s desperate lunge before firing just over the bar. 58 minutes and we had the goal of the game. Tom McGowan found Luke Emery on the edge of the box with his back to goal. PHIL CASSIDY ran past him and onto Emery’s excellent pass and thumped the ball home with a first time shot. Luke Emery nearly got another when he rounded the keeper only for his shot to roll just wide of the goal. Town continued to pepper the home goal but it was the hosts who pulled a goal back with a goal just 5 minutes from the end. The poor floodlighting coupled together the hosts blue shirts with almost impossible to read dull red numbers meant it was almost impossible to identify the goal scorer. This was Town’s ninth successive away victory and they remain unbeaten away from home. Elsewhere Rugby Town got back to winning ways with a 2 1 success at home to Leicester Nirvana so Town remain 10 points clear of them and 15 clear of third placed Deeping Rangers who have three games in hand. Town now lock horns again with Wellingborough Town at the Duck and Dog next Saturday. 3pm kick off before their next home match against Rothwell Corinthians on Saturday 26th January 3pm kick off.